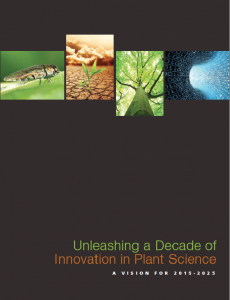 In September 2011, representatives from the full spectrum of plant science research – from basic to applied and industry to academia – gathered to develop a consensus plan to invigorate and guide plant science research over the next decade. The meeting marked the first time this diverse community assembled to unify their vision for the future. Summit participants were charged with articulating research priorities in plant science that positively impact grand challenges in areas such as health, energy, food, and environmental sustainability. A document, “The Green Frontier: A Unified Vision for Plant Research,” reflecting the consensus of the discussions and opinions exchanged during the 2011 Summit was assembled and distributed. Additional information can be found on the Plant Summit page. 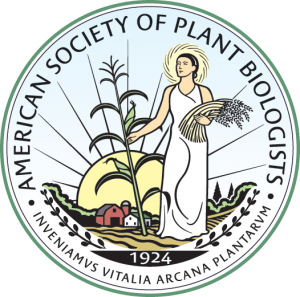 A second meeting, consisting of a smaller cohort of plant scientists whose charge was to build upon the foundational work of the first Summit and develop a succinct compilation of recommended plant science research priorities, was convened in January 2013. We envision the recommendations developed through these meetings as a tool to excite, engage, educate, and, perhaps most importantly, impact future budgetary discussions and decisions at the state and federal levels.